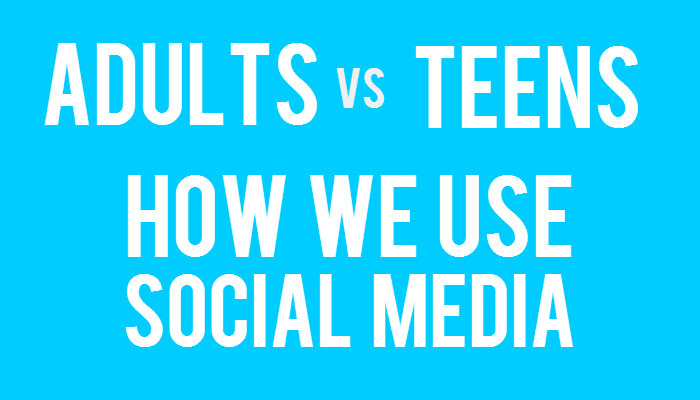 The numbers in the infographic below show that 94% of teens use facebook and that almost 70% of adults do as well. But the question is: If you're a teen - why would you hang out and post to a social platform where your parents are going to be hanging out? Last week Mashable released an article by Ruby Karp a 13 year old teen young teen entitled, "I'm 13 and none of my friends use facebook" which goes into the overwhelming amount of reasons why her and her friends wouldn't use facebook at all. At one point in the article she says, "All of our parents and parents' friends have Facebook. It's not just the fact that I occasionally get wall posts like, "Hello sweetie pie!" But my friends post photos that get me in trouble with those parents." Do you think the data is telling us the true story?